Siu Hak regularly produces illustrations and animations for local advertisements, and is also a comic artist. His works are often seen in magazines, and he has been involved in writing radio shows and teaching as well in recent years. His work I love you, comic! makes use of the columns outside the entrance of the Arts Centre and shows two large drawings of a man and a woman in sharp colour contrasts. They act like the Chinese door-gods, each standing on a side, but both reaching out their arms for a welcoming embrace. 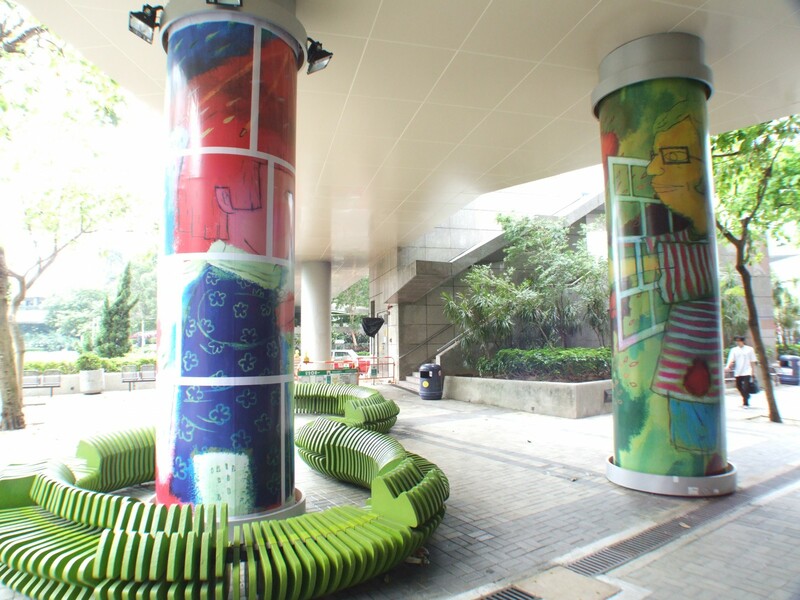 Siu Hak hopes that those who pass between the columns will feel that they are in the presence of love.